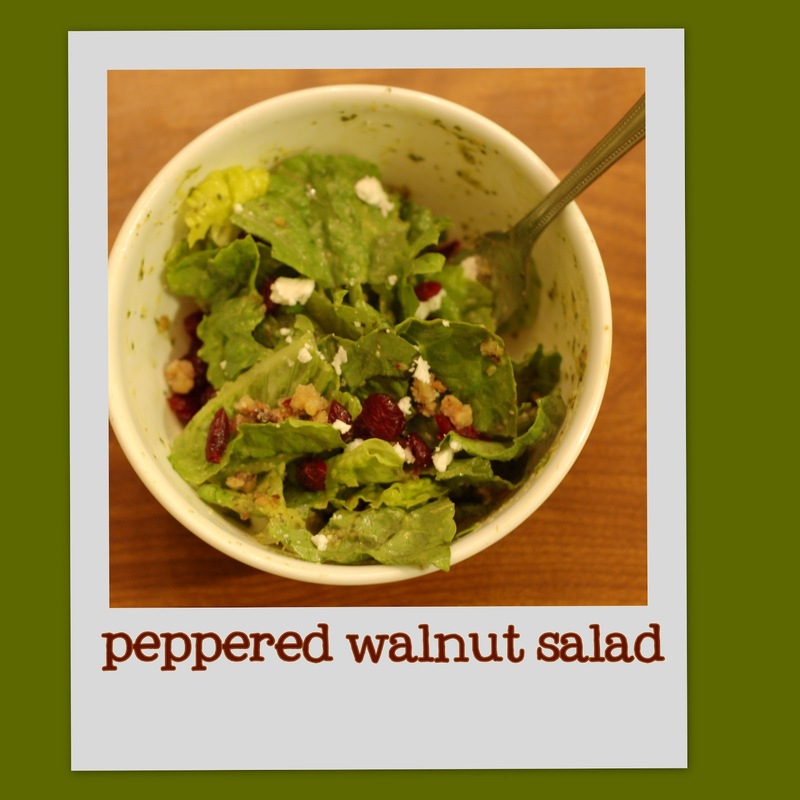 Today I'm sharing my favorite salad recipe... again. This one comes from my genius cousin who can take regular produce and turn it into salads women moan over. I've had a couple friends ask for this recipe so I am bumping it back up and including the post as well because when I posted this last (the same week in April a couple of years ago) my feelings were exactly the same as they are today. With berry season upon us it's the perfect time to try the salad. You can be flexible on the specifics- berries, types of nuts (my mom makes it with sunflower seeds since my sister-in-law is allergic to walnuts) but the crunchy, peppery nuts, creamy, salty cheese and hint of sweet from the fruit makes for a really amazing flavor combination. Let me know how you like it! One note about the feta- the real deal will really set this salad over the top. Peter from Kalofagas (my favorite Greek cooking blog) recommended the Dodoni brand from Costco. I haven't been able to find that, but I love the authentic Greek Feta from Trader Joes. It comes in a white and blue box and is soaked in brine so it stays fresh. It's even made in Greece and is the only kind my brother, who lived in Greece, likes. From Wendy Jensen, my fabulous cousin who consistently makes the best salads. Thanks for sharing! Toast walnuts in butter on low for 5 minutes. Combine sugar and pepper and coat hot nuts. Set aside to cool. Dressing keeps for a little under a week. I usually throw it out when the parsley loses it's bright green color. 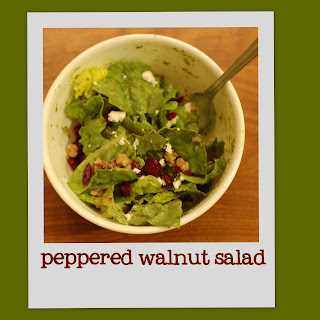 Add nuts and a 1/4 cup of dressing. Toss and serve immediately. Can you make a pie in 30 seconds? Me neither. I like starting out a blog post with cupcakes- they just look happy (orange creamsicle cupcake recipe here). So, how have you been? It's busy at my house for some reason even though I really try to avoid that. Oh well. It's a happy busy and everyone is eating well over here. We watched the pie ninja's episode of Backyardigans Saturday and it inspired my son to ask to make pie. So, we made quiche for dinner and a lemon meringue tart for dessert. I tried a new crust recipe I ripped out from Gourmet a few years ago (couldn't find it online for some reason). In the Backyardigans episode, the pie master teaches his apprentice the secret to pie making- and they can make a pie in about 30 seconds. My son informed me that I must still be a pie apprentice because it took us a little bit longer than 30 seconds to make a clean up our pie extravaganza. I guess I still have a lot to learn, funny boy. 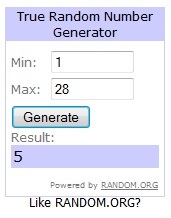 The winner of the MyBlogSpark Pillsbury giveaway is comment #5, Natalie. Please email your address and I will have the prize shipped out asap! Have an awesome week everyone and enjoy the beautiful spring weather!